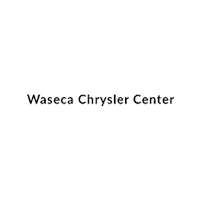 All the best Chrysler Dodge Jeep Ram models can be found at Waseca Chrysler Dodge Jeep RAM. The opportunity to aid residents in the St Peter area to buy the car they want and deserve is what we’re here for. So stop by our dealership today and check out our extensive inventory! The city of St. Peter can be found in Nicollet County, Minnesota. St. Peter also has the honor of being the county seat of Nicollet. One of the biggest draws to the area is Gustavus Adolphus College. The motto of this city, which accurately describes what St. Peter is all about, is “Where History & Progress Meet”. As far as history goes, St. Peter was founded by Captain William Bigelow Dodd in 1853. The initial settlement was named Rock Bend due to the rock formation that was located at the bend of the Minnesota River. Over the years many famous people have called St. Peter home. A few of those people include Earl Witte, Henry A. Swift, Olive Fremstad, Anne Martell Denver, and Steve Neils. If you’re in the St. Peter area and looking for a new 2019 Wrangler, stop by our dealership today! For folks living in the St Peter area, we can help you find the right new car to suit your needs right from our website. It’s a fact of life that everyone has different needs of their daily driving, and so we stock a variety of vehicles to help you find one that suits you. Have you been shopping around St Peter, Minnesota for a used vehicle? With our variety, you won’t need to shop anywhere else. Our pre-owned inventory has a huge selection of cars, trucks, and SUVs by many of today’s top automakers. Not only do we have regular used vehicles, we also have CPO options! CPO standard for Certified Pre-Owned, and means that these vehicles in particular are put through the ringer to make sure that they’re as good as new. Our talented staff is here to be put to work finding you a financial solution that assures you can get an affordable loan for the perfect car. Our qualified professionals can assist anyone in getting an auto lease or car loan in Minnesota, even those with not so perfect credit! We look forward to making sure that you get the perfect loan so you can get the perfect deal on the car of your dreams. Folks living in and around St Peter Minnesota can take advantage of our Chrysler Dodge Jeep Ram car repair center, which provides all the service you need to keep your car running like new. Our staff is trained specifically to make sure that you get the parts you’re looking for. If you’d like to make an appointment to bring your vehicle in you can do so by creating a vehicle service appointment here on our site.